This week i'm preparing to head out of town... It's been a good long time since i've been away from my family for 4 days. Turns out it takes alot of preperation for a mom to leave home. If by chance you're going to the Pinners Conference in Utah look for me... i'll be in the Sizzix booth. Sharing a couple more cards from this months Up Up and Away Greetings Kit. I loved the muted tones of the papers from My Minds Eye for these cards and I found this beautiful melon colored ribbon to compliment this card perfectly! Doesn't get much more simple that hand cutting a couple banners than on this "A Very Special Day" card. Two exciting things to share with you today. Next, I have a really exciting teaching announcement. 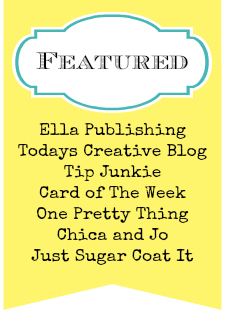 I'll be representing Sizzix at the 1st ever Pinners Conference later this month. I'll be teaching a Card and Canvas with Die Cuts class. If you're going to be there let me know i'd love to meet you in person. Better yet sign up for my class... that would be fun! 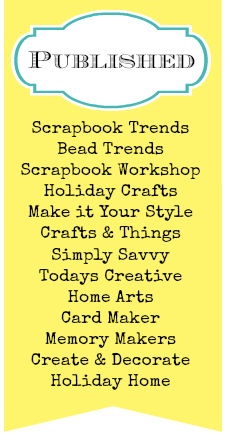 My friends Beth and Debi will be there teaching classes for Sizzix as well. The only photo I took of my project was with my phone and now it won't size correctly so i'll have to work on a new photo to share. If you're interested in attending just check HERE, it will give you all the details you need. I'm in a deep mommy fog over here! Summer has been long. And while it's been great spending so much time with the girls it's becoming clear it's time to go back to school. For them and for me! We still have about 2 weeks before school starts but planning for all the fall events I have coming up continues. Class is self paced so you can review all the lessons when it's good for you. Hope to see you in class! Sizzix lovers, Bust out that die-cut machine... dust it off... it's time to get to class! So if you've ever wanted to get more familiar with your Big Shot, Vagabond, Big Kick or even another brand of machine, you'll love this class! Class begins Tuesday April 23rd... Class is self paced so you can take as long as needed. You can click HERE to get details and enroll. Tomorrow is the last day to enroll in my self paced online class at My Creative Classroom. Click HERE to sign up and join in! Note from a previous post ... If you haven't tried an online class they really are amazing, You can review the lessons any time of day or night. You can go to class in your pajamas and with no make up! You get amazing content with far more info than any teacher can get in to one afternoon class. You can use your own supplies, a great way to use up your stash! And you have forever access to the content so you can brush up any time you want!!! My new online class "Lovestruck" got started last week at My Creative Classroom. It is self paaced and you can join in any time. If you haven't tried an online class they really are amazing, You can review the lessons any time of day or night. You can go to class in your pajamas and with no make up! You get amazing content with far more info than any teacher can get in to one afternoon class. You can use your own supplies, a great way to use up your stash! And you have forever access to the content so you can brush up any time you want!!! Those are just a few of my favorite reasons for loving online learning. Hope you'll join me and give it a try! 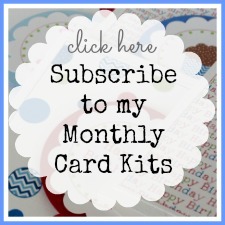 This months kit is all about banners and flag shapes.They are such a great way to embellish your cards. The possibilites are plentiful, you can die cut shapes, puch out shapes, purchase premade banners or my favorite idea... you can cut them yourself with a pair of scissors. I love simple shapes and ideas that are so easy to do with just a pair of scissors. You can see all the cards in this months kit HERE. Hope your holidays are coming along wonderfully! I've really been cranking out the new kits in the craft room lately. It's a busy time of year... This weekend I finished up my last Christmas Card Kits of the year. Here's a peek, if you're looking for the perfect kit to get you started creating your holiday cards this is just right for you! You can get one for yourself over here in my shop. These are the cards i'm teaching at Timeless Treasures on Tuesday, if you're nearby... please sign up and join me, i'd love to see you!